Recent days, Binh Ba (Bình Ba) is an extremely hot destination in Vietnam – a beautiful country in South East Asia. This destination attracts a large number of tourists and many of them want to return again and again. If you are planning to visit this place, then read on this article to prepare yourself the best for a convenient trip to Binh Ba Island. 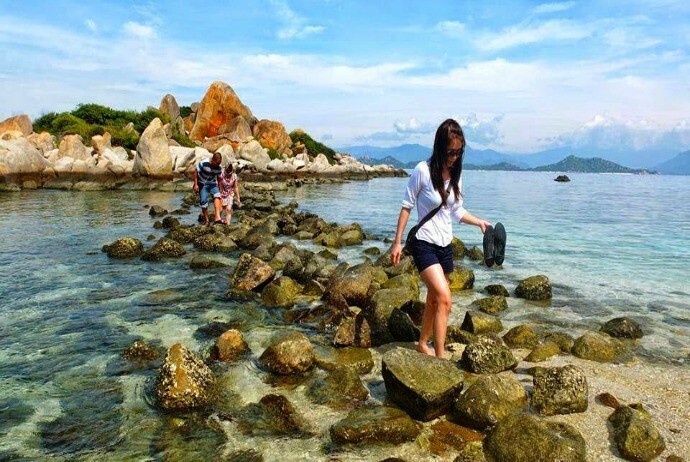 Binh Ba is a small island, with an area of 3km2, in Cam Binh (Cam Bình) Commune, Cam Ranh City, Khanh Hoa (Khánh Hoà) Province. About 60 km away from Nha Trang and 390km from Ho Chi Minh (Hồ Chí Minh) City, if you want to visit Binh Ba, you have to go to Ba Ngoi (Ba Ngòi) port. It takes about 15km to go from Cam Ranh Airport to Ba Ngoi port, and Binh Ba is also 15km away from Ba Ngoi port. Previously, the Binh Ba Island is the military island, which has restrictions on people outside entering this island. Now, the rules have been loosened, but foreigners are still banned. This is also the reason why until now Binh Ba Island gets famous! Also, if you do not want to be evicted from the island soon, you should not be curious to zones which are forbidden by the military or have disruptive acts. Because of being strictly managed by the military, so Binh Ba remains a relatively unspoiled island, which still keeps the rustic nature and has not been devastated by human beings. Recently, the number of visitors going to Binh Ba increases more and more, and the infrastructure development has not kept pace with arrivals, making the island’s environment no longer clear as before. 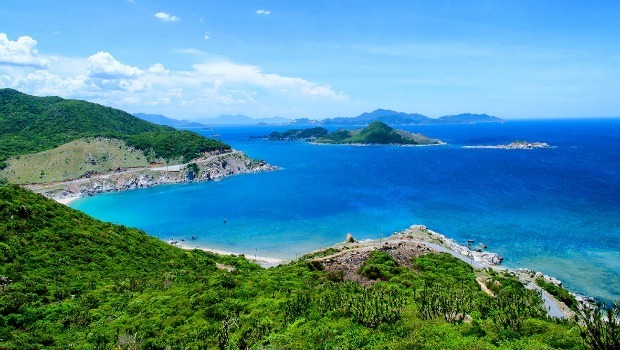 Binh Ba Island is about 15 km far from Cam Ranh. It just takes from you 1 hour of sailing to get there from the Da Bac (Đá Bạc) Port. Each day, there are two boat trips going from Cam Ranh to Binh Ba and vice versa. Each trip costs from 15 to 20,000 VND. 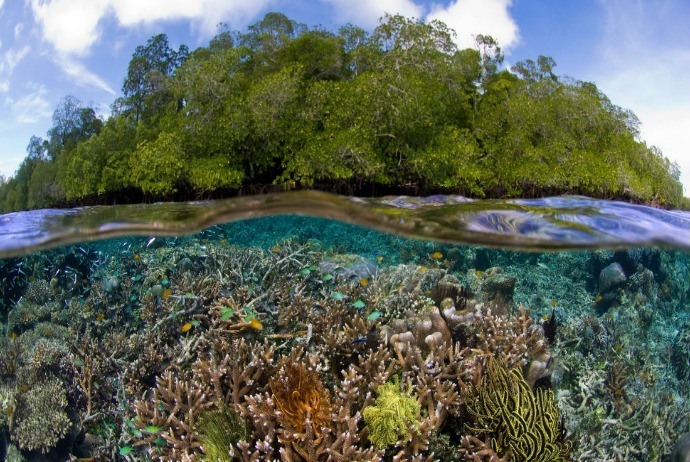 As this is a pristine island, so there are a lot of beautiful beaches with clear water, white sand and blue sky. Particularly, this is very suitable for those loving natural as well as calmness. Tourists coming here will be aware of protecting the beaches as well as general environment. There are just few tourists coming here. About 700 households with over 5000 people are living here. Visiting this place, you will not have to worry about cramping. It is said that there are 3 well-known beaches in Binh Ba Island, which are Bai Chuong (Bãi Chướng), Bai Nom (Bãi Nồm), and Nha Cu (Nhà Cũ). Each beach has its own feature for tourists to explore. 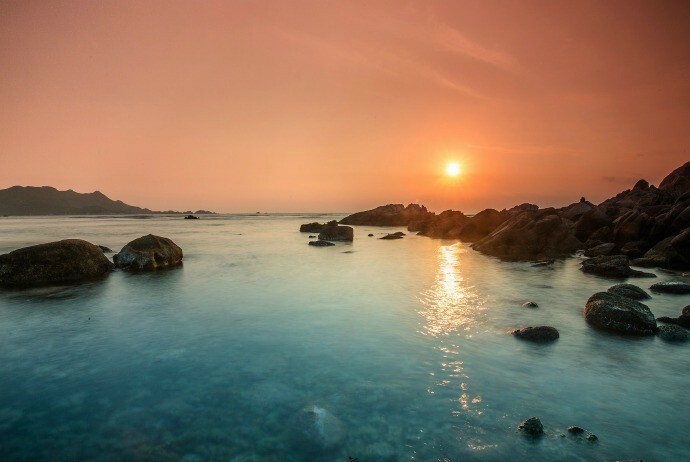 If Bai Chuong is an ideal place to watch sunrise, Bai Nom is a perfect site to camp and watch dawn. 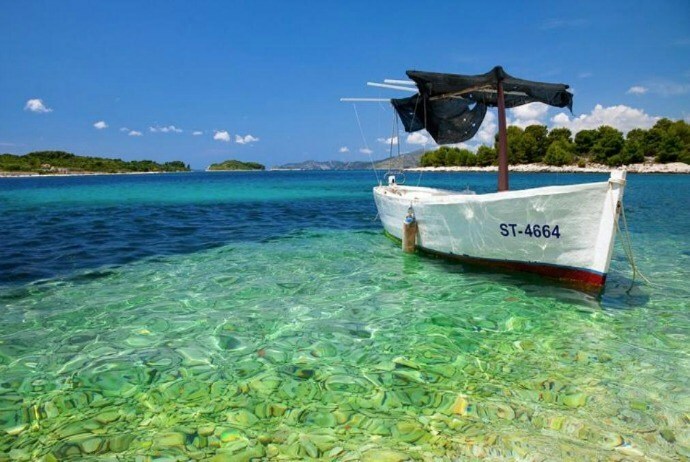 Nha Cu beach is loved by a lot of tourists for scuba diving. 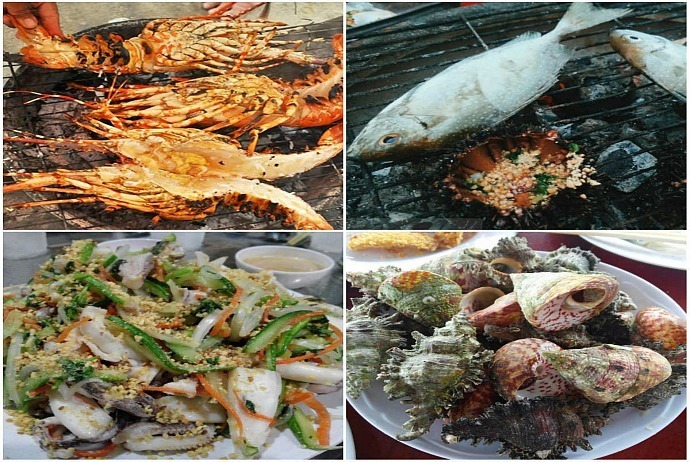 Known as “Lobster Island”, Binh Ba is really famous for fresh seafood, particularly lobster. You could go to the market to purchase fresh seafood in the early morning and locals will process it for you. Squid is thick and sweet. Also, it is delicious. Do you want to enjoy your meal whilst floating on the beach? If yes, then coming to Binh Ba Island, you could do it interestingly. Tourists coming here will wear life-jacket, then float on the beach and feel free to enjoy their meal. 2. What Is The Best Time To Travel Binh Ba? You can travel to Binh Ba at anytime you want, but the most ideal time is still from March to September. In addition, you should also try to visit Binh Ba on weekdays, because in holidays, the number of tourists flocking here is very high, making it hard to enjoy the beauty of the island. Also, you should also spend more than 2 days on the island to experience all the best of the island. There are 3 ways to travel to Binh Ba: Planes, cars and motorcycles. Planes: Every day, there are many flights from Ho Chi Minh (Hồ Chí Minh) City to Nha Trang. As soon as you get off the plane, there will be long lines of taxis parked at Cam Ranh airport to take you to Ba Ngoi port. For 15km, it just takes over half an hour to arrive there. Note: you have to watch the reasonable time to go to Binh Ba Island by aircrafts and ships, so that you do not have to wait languishingly at the port. Ideally, you should park your motorbike in Ba Ngoi port, the parking lots, and then saunter to the island by your own. First, in order to bring the bike to the island, you have to hire a private boat. Secondly, because the island is small, you just need to walk a few rounds to cover the whole island. 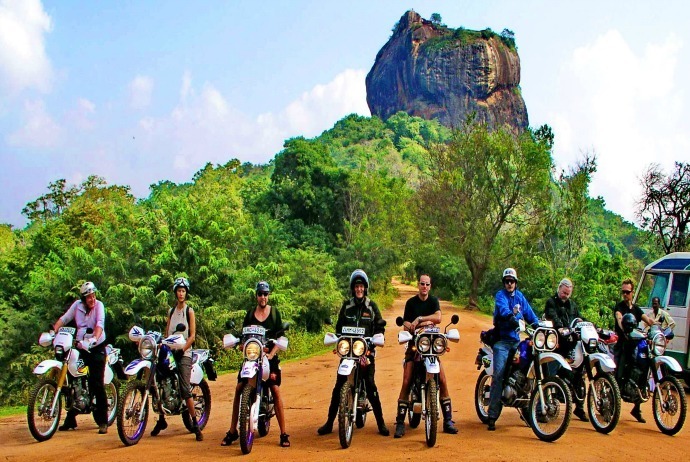 But if you want to explore many further nooks, you can rent a motorbike. The only means to go to Binh Ba Island from Ba Ngoi port is a boat. The ship going from Ba Ngoi to Binh Ba departs daily. Fares: 25,000-30,000 VND / person (depending on the type of passenger ships). – Ba Ngoi (Ba Ngòi) – Binh Ba (Bình Ba): 7am, 10am, 1:30 pm, 4pm. – Binh Ba (Bình Ba) – Ba Ngoi (Ba Ngòi): 5 am, 9 am, 12:30 pm, 4:30 pm. If you rent a private boat, then the departure time will be decided by the tenant. On the island, there are also quite a few hostels; most of them are fully equipped. Price is usually 100,000 VND / person on weekdays (weekends will be more expensive than a half or double). Among available hostels, the most famous hostel is the one of Mr. Bay Ho (Bảy Hồ) (+84 983 858 941), because of the location right next to the Nom beach, and having suites overlooking the sea, which are clean and convenient (without ridge). The motels of Mrs. Dung 0972332202, prices around VND70,000 / night and VND70,000 / meal. If you want to save more money without many amenities, you can choose the accommodation form of homestay; the price is only half the price of the hostels. 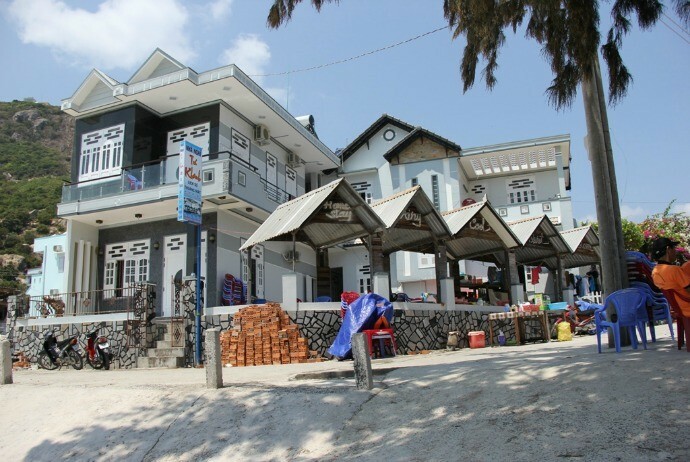 You can contact in advance with some local people (offering hostel or homestay service for tourists) so when you arrive, there will be people transferring you to the motel or homestay. The local people in the island are very friendly and cute. You could check the room before deciding whether or not you will stay there. Moreover, almost everyone is enthusiastic to introduce to you many interesting things. Binh Ba Island is famous as an island of lobster and fresh seafood, so you should not ignore it when visiting Binh Ba. You can ask the organizers of the tour to just take the boat to the beach while being able to eat on the raft. Shrimps here are blue lobster and shrimp. In general, the price of shrimp in Binh Ba Island is cheaper than any elsewhere from 30% to 50%. However, you should not eat too much food at a time, but should spend for the dinner. If you want to combine karaoke and party, then there are available people taking care all of that. If you want to “challenge yourself” a little bit, you can go to the local market and organize a seafood buffet by yourself. From 4 – 5pm, go to the dock area, you will find many places selling seafood. There are plenty of lobster, shrimp green, fish, sea snail, sea cucumber, abalone, oysters, squid, … Ask the price and choose the most favorite items for yourself, then have the restaurant to process and cook them. You can eat right at the restaurant or have them carried out to the Nom beach to enjoy while watching the sea. The organizers will lend you all, from the oven to chopsticks and bowls, your job is just to borrow a tarpaulin (ask hostel) and find the most appropriate location, then enjoy and have fun! In addition, there are also many shops selling many delicious and inexpensive dishes like bread soup / noodle fried fish (fried or steamed), noodles and barbecued meat, pasta, smoothies, baked rice paper … The price just ranges from VND 10,000 – 20,000. Is it attractive? In the early morning, from 5:30 am – 7 am, there will be a market right in the dock. There, fish and squid are sold at the cheap price. Till 8 am, there will be more types of fish; so if possible, you can wait till that time. Oftentimes, before leaving Binh Ba, tourists will go to the market to buy seafood and crate to carry on. It is hard to skip when visiting Binh Ba Island is to hire boats to go to beaches and snorkeling to see coral. You just need to wear the life-jacket and lie on a buoy, face down the sea surface so you can contemplate the coral. Even, sometimes you do not need to go down the sea to watch coral. Occasionally, at Nha Cu (Nhà Cũ) beach, when the low tide gets on, each colorful coral reef will be exposed under the sun which is easily for you to contemplate, touch and enjoy. There are plenty of beaches, but often we just go 7 beaches, in which there are 3 ones allowing you to go to by motorbike, which are Bai Nom (Bãi Nồm), Bai Chuong (Bãi Chướng) and Bai Nha Cu (Bãi Nhà Cũ). Bai Nom is the very wide sandy beach and reefs have room there. The majority of locals and tourists swim here because the sea is very clean. Bai Chuong is located about 30 minutes from the wharf if going by foot. This is the only beach on the island from which you can contemplate the dawn. Bai Nha Cu has many pinches (urchin) so you may be stabbed in the leg by them while swimming. But the water here is very clean. Another interesting activity in Binh Ba Island tourists can try out is to rent a motorbike to explore this island. The price of rental is VND 100,000 / day. There are a lot of spots having this service in the island, and most hostels have this service. You should ride your bike to Bai Chuong in the early morning to contemplate sunrise before running off the road to explore the mountain passes. 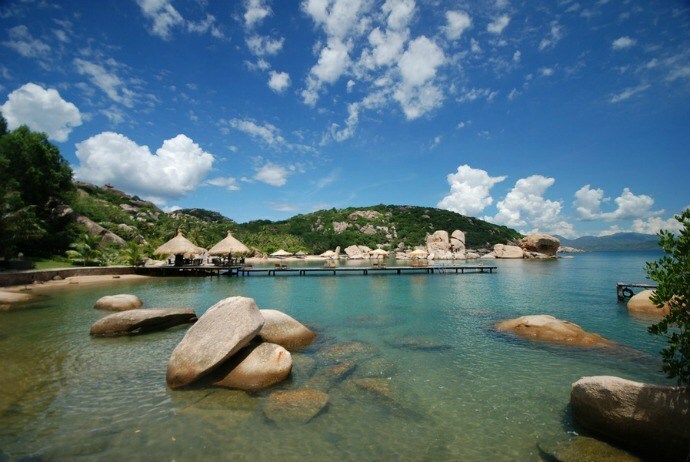 The island offers many chances for you to observe the entire Cam Ranh bay. Some old ruins like bunkers, cannon pedestal, mountain tunnel are also worth your visit. At Nom beach, there is a park zone planted many trees. You can rental hammocks nearby. A siesta, cool sleep, swinging with the waves and the sea breeze is fantastic there. 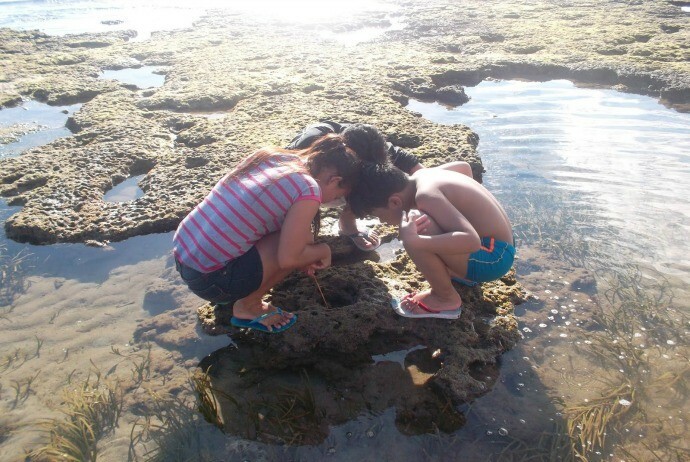 – The first interesting activity that you should try is looking for small crabs (in Vietnamese as cong). The beaches uninhabited around Binh Ba island has many small crabs black, tourists can hold the flashlight to look for and chase small crabs at night – that is very fun. Particularly, you could enjoy the delicious fried meat after that. – At night, if traveling in a group, you can contact Mr. Tung Rau (Tùng Râu) (+84 969 819 797) to have him held a fantastic seafood + karaoke party on the beach. – Other games which are also quite interesting to contact the owner of ships or boats and follow up their shrimp fishing or squid fishing.